We’d love your help. 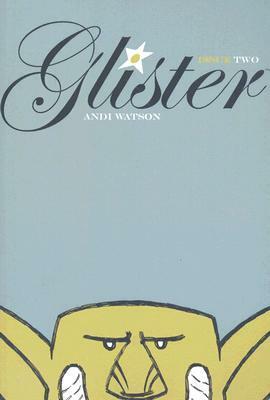 Let us know what’s wrong with this preview of Glister #2 by Andi Watson. To ask other readers questions about Glister #2, please sign up. Probably I'll enjoy it better on reread, when I'm not also out on a walk. I do like the house and it's changing, and I like how Phillipa is now just a part of it. And I'm definitely looking forward to reading more, and seeing how everything builds. Also, more comics aimed at kids = good. Adorable all-ages comic about Glister Butterworth, a young girl with unusual luck, and her home, Chilblain Hall, which decides to travel the world after it is insulted by one of the locals in their rural English village. Apparently I gave these books three stars, but I have no memory of reading them? Watson has also worked for more mainstream American comic publishers with some work at DC Comics, a twelve-issue limited series at Marvel Comics, with the majority at Dark Horse Com Andrew "Andi" Watson (born 1969) is a British cartoonist and illustrator best known for the graphic novels Breakfast After Noon, Slow News Day and his series Love Fights, published by Oni Press and Slave Labor Graphics.